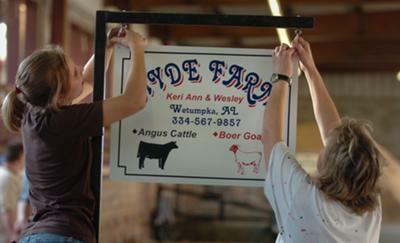 Best Alabama-Boer-Goat Breeders are here. This is a directory of Boer Goat Breeders that are located in Alabama, and while there may not be a large number, they are useful for in-state and out of state breeders looking for new genetics or to expand goat herds. If you wish to add your details or change details of your Alabama-Boer-goat breeders and breeding enterprises then please submit your details below. You can update details of a submission by adding a comment which will flag the change and I will revise as requested or if you wish I can delete your listing the same way. We are happy to link exchange to other Boer goat sites. 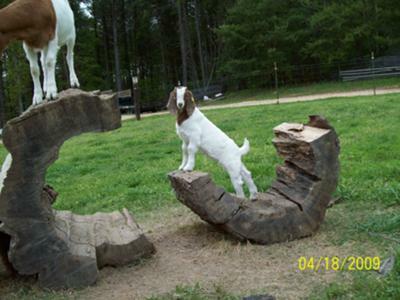 Busybee Boer Goats (Oneonta, Alabama) ABGA fullblood & percentage goats for sale. Herd includes bloodlines from Hilltop, Sunny Acres, Shady Lane, Cold Comfort, & Camelot farms. Located just outside Oneonta, Alabama. E-mail busybee@otelco.net. 1561 Rainbow Lane Warrior, AL 35180. Liberty Boer Goats (Hope Hull, Alabama) Bob Cochran 130 Brady Road, Hope Hull, Alabama 36043. bob@libertyboergoats.com.